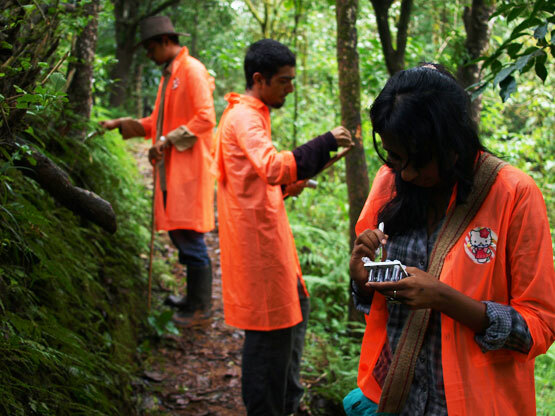 I just got back from a 4 day trip to the rainforest in Coorg with 4 of the Bangalore igem students. We stayed at the Mojo Plantation – a beautiful place run by two molecular biologists + experimental organic farmers; Sujata and Anurag Goel. Just off the bus in Madikeri the moisture of the region is already apparent in the surrounding buildings. We took several hikes on the farm and in the surrounding areas, where our guides (Sujata, Ravi and/or Archana) shared their intimate knowledge of the region, telling us about their experimental farming practices and pointing out the local biodiversity. 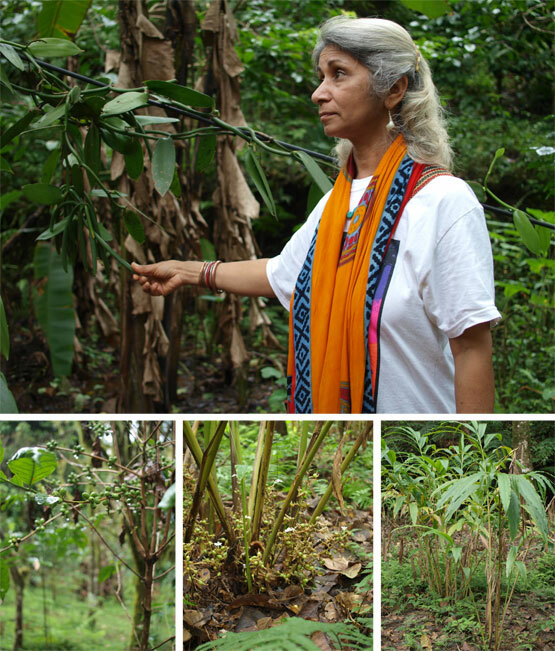 Sujata showing us the crops they grow at Mojo Plantation: mainly vanilla beans, coffee and cardamom. For a larger version of the panorama click here. Silver oak trees were planted close to the Mojo Plantation by the forestry department many decades ago. This was a failed attempt at soil errosion prevention and they have since learnt to use other strategies. Stemming from Australia, these trees are a point of contention. 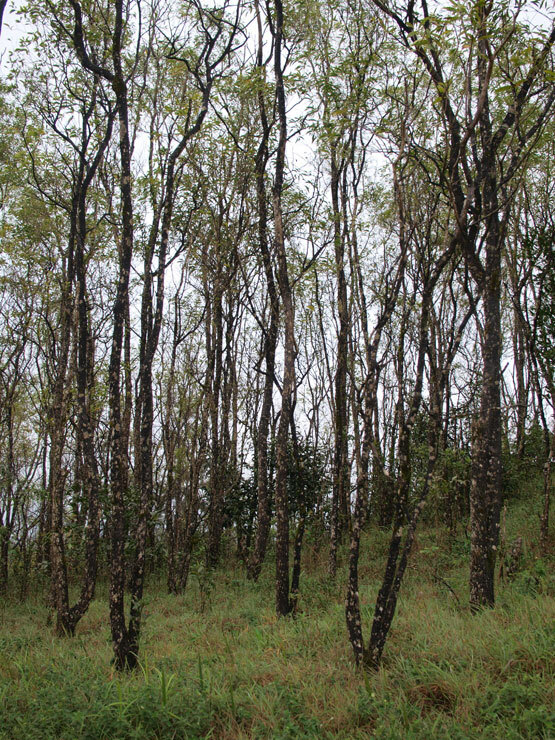 Archana explained that they do not provide enough of a canopy for other species of plants to thrive and their leaves cover the ground, preventing growth and biodiversity. 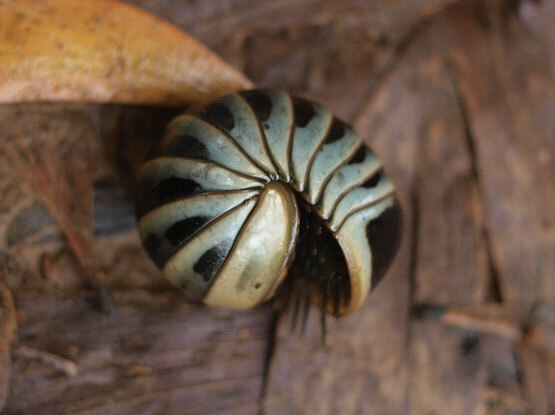 There was an abundance of insects including the pill millipede. Most noticeable however, where the audacious leeches. 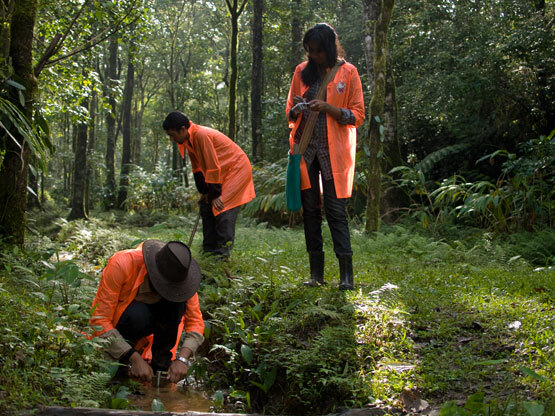 The students were tasked with collecting soil samples. 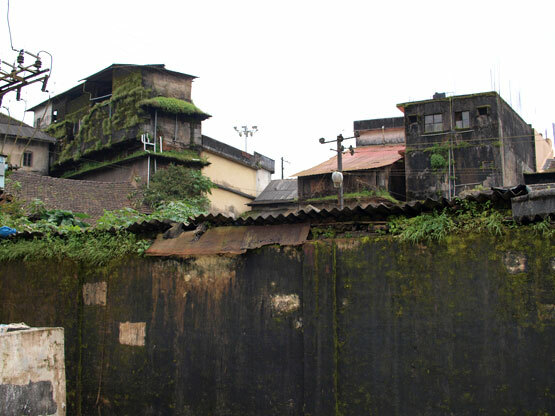 Having produced tools for the expedition at Srishti, the rainforest offered an intense user testing experience, as well as an exercise in dealing with unexpected challenges of field research. We faced torrential rains, an onslaught of leeches and a jungle rat, but the diversity of flora and fauna was breathtaking.